The report recommends that the current contamination level that prompts a clean-up stays the same for houses where the drug has been manufactured but is four times higher for houses where the drug has only been used and where there isn’t any carpet or the carpet is removed. 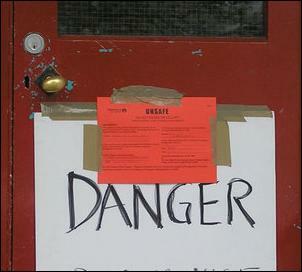 The level is three times higher for houses where only drug use is found, but where there is still carpet in the house. In the absence of a guideline for remediating property contaminated by methamphetamine use but not manufacture, these recommendations can be used in the interim. But the recommendations will not pre-empt the standard which is currently being developed. While the Ministry's recommendations are being considered by the Standards Committee, its recommendations will be placed on the Ministry's website alongside its existing guidelines. The Ministry of Health, which is also on the NZ Standards Committee considering the issue, will be working with agencies involved to look at how promote information about the new standard when it’s developed. 2.0 µg/100cm2 for houses where the drug has only been used - uncarpeted.